La-La Land: FIRST LIGHT MOODBOARD. We are freaking in love with the Adelaide's hottest emerging labels - First Light. 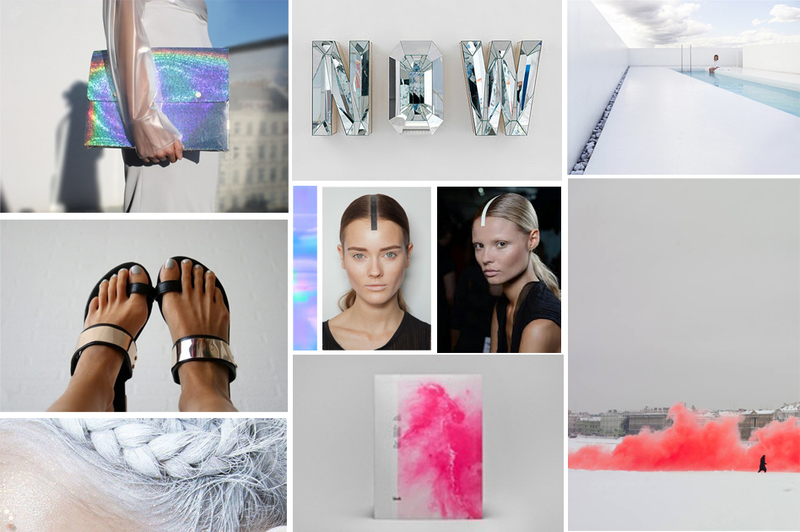 Their 'The Future' collection launches so soon as we cannot wait to show you what they created from this inspiration board! Great mood board! I totally want those letters spelling 'NOW' in my bedroom. this is lovely!!! those sandals... i want! thanks lady:) this crop is really inspiring! Are those sandals Alexander Wang? So into silver/holographic stuff right now! Supre cute blog, love the mood board. very beautiful moodboard, love it. following you on bloglovin too. crazy good mood board. love it!